Looking for some retreat property? 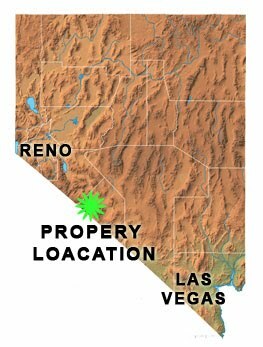 Well – check out https://sites.google.com/a/fishlakevalley.biz/mtnpropertyforsale/. Two properties are currently for sale. The first 5 acre offers views and a pure mountain creek with rainbow trout. Brand new 850 sf. cabin shell has decks front and back, windows loft, doors and a key to unlock the many adventures in area. Cabin can be finished by owner or the seller can complete the cabin, electrical, plumbing, septic, and interior walls. Whatever the new owner wishes to have completed. The purchase price is only $99K. White Mountain (14th highest peak in the lower 50 states. This lot is on a dead end road with a backyard as National Forest. Pad and drive are already complete. Price is $39K. As an investment or retirement property, this acreage offers boundless opportunities. I moved FROM California. You have to realize that taxes there are horrible. Yeah, the prices for 5 acres look good, but I would never go back, even to a out of the way area like that. Property taxes, income tax, sales tax. Look before you leap – look real close. Some of the worsts cities to live in are in CA – see Stockton, or Oakland.